If you've not already read it please start with our blog 'Guide to Transfer of Residence for Moves to the UK' for important background information and to understand if you need to complete this form. How do I make a Transfer of Residence Application? ToRo1 is the form that you fill in online which can then be downloaded to either email or post to HMRC. The information in the form is NOT submitted to HMRC automatically, you must manually send this via email or post. YOU WILL NEED: (note: gather this information in advance as you cannot save the form and come back to it once you've started). An email address and phone number - this is important so HMRC can contact you with any questions. Please use an email that you check regularly in order to avoid delays. Employer / Educational establishment details if either of these is the reason for your move to the UK. You'll need their name and address. The address of your new home in the UK. Note: HMRC are aware that the address in the UK is not always known at this stage. If this is the case you may be able to use a temporary address or add a note to explain it is not yet known. The address of your most recent home outside of the UK. You will need to provide a copy of the rental or purchase agreement for this property. If you have previously lived in the UK or another EU country you'll need to provide dates and reason for leaving, including details of any employer or educational institution (name, address) and the address you lived at in the UK or EU prior to leaving. If you are importing vehicles you will need the brand, model, year of manufacture, license/ID number, registration number, date and country of registration and the purchase date. If you are importing pets or animals you will need details of their pet passport/ID. Once the form is completed download a copy and either email (nch.tor@hmrc.gsi.gov.uk) or post to HMRC along with the enclosures below. NOTE: We strongly advise emailing this form as it provides you with confirmation of receipt and ensures HMRC have an email address that they can use for responding to you with any questions or approval. All emails should be under 10mb including attachments else it may be rejected by HMRC mail system. Proof of registration showing that you've taken up residence in the UK or other country of the EU and the date on which you did so. You may also send some other comparable document providing reasonable evidence for this purpose. Two signed lists of the goods you wish to import - we believe this should be a descriptive inventory and not 'misc items' etc. and should be valued. Copies of any documents which show you're going to live in the UK for example your employment contract, an employers statement, a work permit or your tenancy/purchase agreement for the home you plan to live in. Once you're ready you can Complete the ToR application form online. You will know if your application is approved when you receive a response from HMRC with your unique reference number. You should send copies of your documents including the Unique Reference Number to your Move Manager. Once they have received these we can schedule your packing and loading dates (this may take up to 3 weeks to arrange). Many shipping companies are advising that they will not ship goods from the departure country until they receive your unique reference number from HMRC as this can increase the risk of additional charges if there are any issues with obtaining this in time for your shipments arrival. Please note if you ship your items without a unique reference this is at your own risk. Can my shipping company complete the ToR application on my behalf? No, although we will help and guide you through the process unfortunately HMRC does not allow us to complete the application for you. You have to apply for the ToR relief yourself as this is your declaration and you are responsible and liable for its accuracy. When should I apply for ToR relief? It is best to do this before your goods are sent to the UK, in all cases you must have received a unique code from HMRC before your shipment arrives in the UK. You will need to pass this to us so that we can make the customs declaration so your shipment can be released to us. Any delays in obtaining this unique reference code may mean additional charges as your shipment will be held by customs until they receive it and they will charge you for the period of time they have to hold it. Can I use ToR to clear my goods through customs in the UK for onward delivery elsewhere in Europe? No. Clearance under the UK ToR system is only for those persons who are going to be residing in the UK. If your final destination is another country you must apply to the customs authority of that country. How long will it take to get an authorisation number for ToR from HM Revenue and Customs? HMRC have not yet (at date of publication) provided guidance on their processing times. We have experienced turnaround times of as little as 24 hours but have also been advised by various sources that these can be up to 5 weeks so we advise applying as soon as possible. Will I be notified they have received my application? You should get an auto-response within 24 hours. If you don't you can call the helpline on 0300 3227900 to make sure it was received or if you need to chase the application. We advise calling rather than emailing as some customers have experienced emails not being replied to. Will I qualify for Import tax relief from customs for goods i'm importing? The criteria for determining duty free import allowance has not changed, just the process for applying. 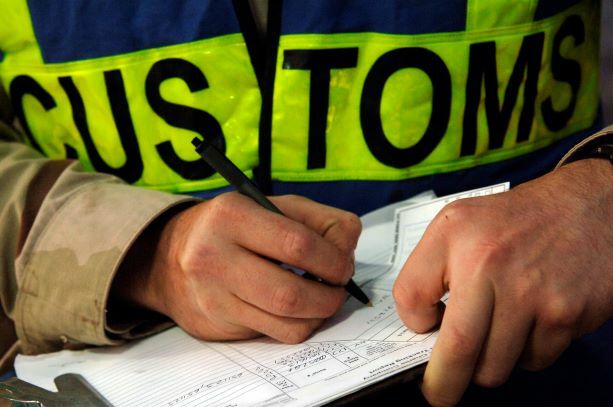 In order to qualify for customs relief on items being imported into the UK the owner must have lived in a country outside of the EU for 12 consecutive months and have owned the goods and used them abroad for at least 6 months. The goods will need to arrive in the UK within 12 months of you arriving and be intended for use and ownership for a further 12 months after arrival. Please note some items are not eligible for import relief including alcohol, tobacco and tobacco products, articles for use in a trade profession, property intended for a second home and goods for commercial use. These items should be declared and will be subject to import duty and VAT. To find out more about if you can claim import tax relief visit the HMRC web pages on Moving to the UK. Who needs to complete a ToR01 form? Any private individual planning to relocate their normal place of residence to the UK and wishing to claim relief for the items they are bringing with them. What do I do if i'm importing a vehicle? If your move involves a vehicle you must make a separate NOVA application (Notification of Vehicle Arrivals) to the CARS team. If you do not have access to the internet you can post copies of the relevant paperwork to: Business Taxes Operations Unit, HM Revenue and Customs, BX9 1EH. Please mark any correspondence clearly with the heading NOVA application.